My will shall be done in you as it is in heaven when you resign yourself to it, says the LORD. Desire it to happen. Trust that I know what is best for you. Believe that My wisdom is desirable and My timing is best. I will not withhold anything good from you. I have everything that you need. Every person, place and thing is under My control and I know what to do. I Am the GOOD SHEPHERD. Trust in the destiny that I have ascribed for your life. As you do this, your journey with Me will be easy and carefree. Shift all your burdens on Me and give ME the exclusive rights to your life as I order your steps. I said they are ordered for the righteous. I want you to walk in perfect harmony with Me as Enoch did. Walk with Me, and you will have complete freedom, total peace and fullness of joy, says the LORD. As you walk with me, you will know that I will supply every need that you have and fulfill the desires of your heart, says the LORD. Did you think that it is up to you to do this? I will, says the LORD. For I know what to do, how to do it, when to do it and I can and will DO all things, and do them well. I know every need that you have and know the way that you take. As you lean on me, you will not fall, will not falter or fail and you will KNOW that all is well and you will come into the fullness of your destiny on time and complete every assignment that I have for you to do as I furnish you for every good work that I have ascribed for your life and aligned you with people, places and things that are all in My control to help you and further you in all that I desire for you that is always good, says the LORD. Thank you, Pastor June. This tone of this is so fatherly and personal, gentle and loving, yet full of power and authority. I can get a better sense of our Heavenly Father’s “personality” through your word. I know You will Lord. Amen! Give me the strength and grace that I need as I am waiting patiently upon You oh Lord! AAAAAAAMMMEENNN and AAAAAAAMMMEENNN THANK YOU HOLY SPIRIT WOW WOOOOOOO HOOOOOOO ALL GLORY TO GOD ALONE HALLELLUJAH HALLELLUJAH AS I BELIEVE RECEIVE AND CLAIM THIS IN THE MIGHTY NAME OF JESUS AND ALL GLORY TO GOD ALONE AAAAAAAMMMEENNN AND AAAAAAAMMMEENNN!!!!!!!! LORD, I Believe. I Seek to Do YOUR WILL T ALL TIMES. AMEN! Amen! Thank you Father ~ Your will be done! Amen!!!!!! 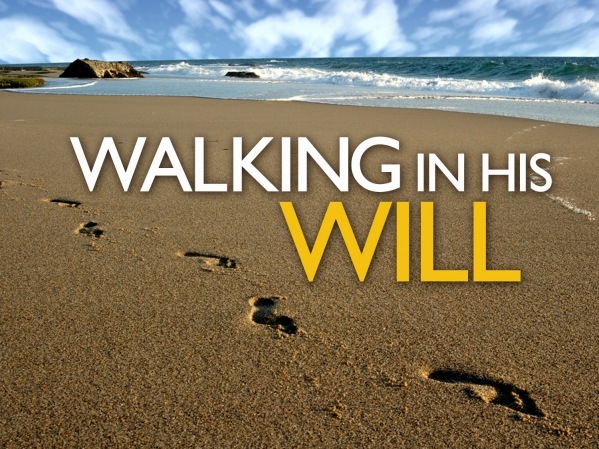 GOD says to the world I am I if you walk in my WILL , I am agree with him and Iwill walk with HIM.